Any questions about our services? Abbotsford Convent from 8am til 1pm - 18 St Heliers St Abbotsford. Come and visit Les Crepes de Marion at the Eltham vibrant market in center town from 9am til 1pm - Eltham Town Mall 10-18 Arthur st Eltham. Come and visit Les Crepes de Marion at Heide Musuem of Modern Art from 10am til 3pm - 7 Templestowe Road Bulleen. 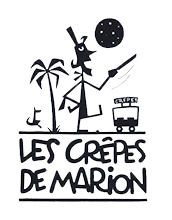 Come and visit Les Crepes de Marion at Torquay Common from 4pm til 10pm. Come and visit Les Crepes de Marion at Johnstone Park Geelong from 4pm til 10pm.